Online Invoices “Time tracking” feature is a project based tool, So in order to track your time, you will have to create new projects to have your time entries assigned to. 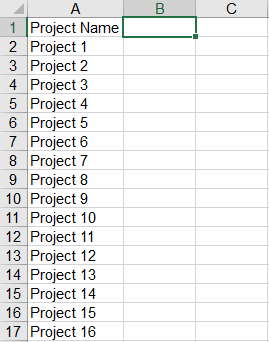 Through the “Time Tracking” tab, select the“Projects” section. Click the “New Project” button. Add a “Name” to the project and any related notes. Tick the “Active” checkbox on the left-hand side to keep the project’s status activated. Through the “Time Tracking” tab, select the “Projects” option. Click the “Edit” button below the “Actions” column to modify the required project. Edit the “Name” of the project. On the same horizontal row next to the project you want to be deleting click the “Delete” button. A confirmation message will populate; so click “Yes” to delete the project or click “No” to close the window. How to import a list of projects from a CSV file. At the first row add the “Project Name” in the A1 field. Below each field fill out the projects entries as showing in the following figure. After you finish adding all your projects, save the excel file as CSV (Comma delimited.). Login into your online invoices account. Click the marked in blue “Import” button at the top right corner. The importing wizard will start. 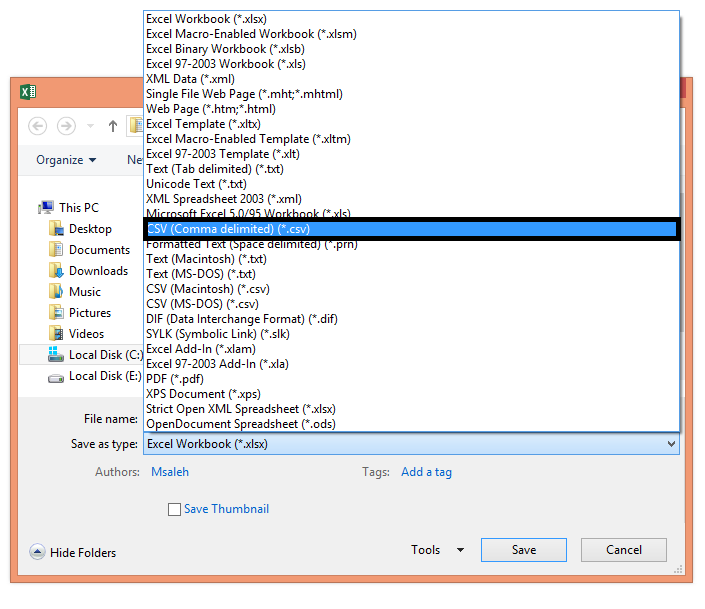 Determine the file that will be imported (the CSV file we previously saved) by clicking on the “Browse” button. Through the “Delimiters” section select “Comma Separated”. Click “Import First Row” check box. If your file contains the field labels existing at the first row so in this case, we will not tick the checkbox. The “System Field” column: This column shows which fields on the system can the imported data be uploaded into; “*” meaning that this field must be filled (mandatory), and “Chain icon” means that this field is unique (i.e. 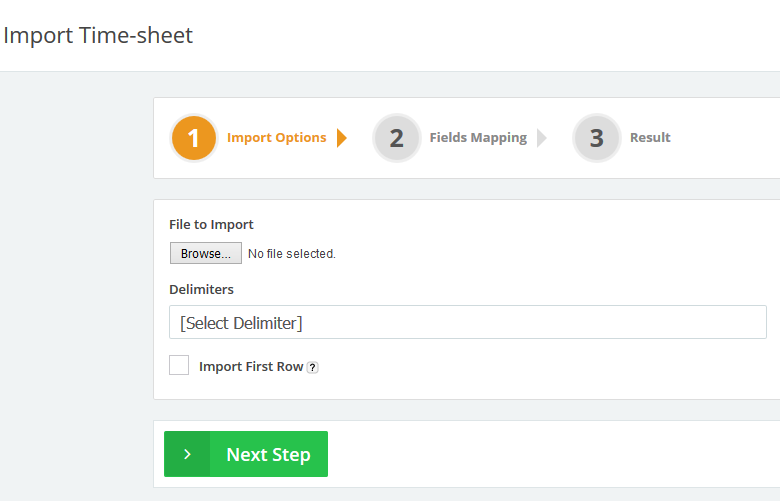 if you have checked the “Updated an existing Project with the new data” check box and there was an existing record that contains the same field value then it will update that existing record with the newly imported record. If you didn’t check the “Updated an existing Project with the new data” check box and there was a record with the same existing data then it will ignore importing it and will be showing you errors regarding this record. The “Corresponding Field on File” column: Each drop-down menu on this column shows all the column headers on your file. Please select the equivalent column on your file for each system column (only system fields with “*” are required to have an equivalent selected field). In this case, we only added the new project and selected a corresponding field in the file for each system field as showing in the figure above, and the “Update an existing Project with the new data” checkbox will not be checked as the process will be adding the new data only. The system will take a few seconds to import the fields and save them. Refer back to the “Projects” page to check the imported projects.